If you, like me, are horribly, inexcusably ignorant of Canadian Indigenous history, you will probably want to read Richard Wagamese’s Indian Horse with Wikipedia open next to you. Perhaps you don’t; perhaps Wagamese’s beautifully crafted sentences and compelling story alone will suffice for you. Perhaps you will read for the fire and excitement of the sport – hockey – that is the focus of most of the book’s narrative. Perhaps you will just read to know what happens to Saul Indian Horse, the book’s very likeable protagonist. Perhaps you won’t find your mind racing away with the issues and implications of what he has written. Perhaps you are that very focused person. I am not that focused person. I got as far as page 8 before my jaw hit the floor and I scrambled for my iPhone. I thought I knew my history. How did I not know children were being kidnapped at gunpoint by representatives of the residential school system as recently as 1961? But wait – it continued after that? The Residential schools were still run by the churches until 1969? The last school didn’t close until nineteen-ninety-six? Was I asleep during the reports from the Truth and Reconciliation Commission? Apparently so; but I, like so many other people, get most of my history from novels, for better or for worse. Historical fiction has a lot of detractors in literary circles, people who feel that fancy costumes, dates and out-of-scale events deter from the human heart of good writing. I think this is 100% pure crap. A story is a story, and stories have characters and there is nothing less human about Wolf Hall‘s Thomas Cromwell than Things Fall Apart‘s Okonkwo. I wasn’t there for either of their lives: thats why I read the bloody book. But I digress. Richard Wagamese is telling the very human story of a boy heavily, heavily damaged by Canada’s horrifying colonial history who finds some peace through his incredible gift as a hockey player. The stark contrast between his off-rink and on-rink life is beautifully illustrative of the power of talent or sport to provide an escape from the most awful circumstances. But it was difficult for me to share Saul’s love of the game because, though evocatively, powerfully written, as soon as a white person showed up, he would ruin everything. The short period of peace in the book takes place during the time Saul plays with an Indian hockey team against other Indian hockey teams. It’s a beautiful thing to read, the camaraderie and hope borne of these games. As word of Saul’s talent gets out, his team – The Moose – starts to play games and tournaments against white teams, and from there everything goes to hell. It is very hard for a person like me not to have a political reaction to a narrative like this. The history is so recent, and the setting so familiar. Canada continues to deal out racism, oppression and vast injustice to its Indigenous peoples. Read the news lately? Exactly. I could not be a passive reader of this book. Horrified though the book left me, I think this book’s ability to evoke a reaction like this in me – and, I hope, thousands more Canada Reads readers – is a very good thing. I hope it provokes us all to bone up on our history, current political movements, and provokes some action. I doubt that was Wagamese’s intention when he wrote Indian Horse, but frankly there are few enough books being written about Canada’s Indigenous history that even the even-handed, polite and non-accusing narratives like this one should shock and incite the reader. The book is not perfect. Wagamese makes use of one of my pet peeves, the Character Saved By Books trope. I know, books can protect and save anybody, but surely, once in a while, an illiterate person can be the hero of their own story? Must every sympathetic protagonist be bookish? I also found Saul’s descent into alcoholism abrupt. He doesn’t take his first drink until page 180 of a 220 page book. Saul’s life between the ages of 15-18 takes most of the book, time spent exploring and understanding the world through Saul’s eyes with beautiful, careful prose and acute observations. The years between 18-25 seem to float away in one three page chapter, and the next thing we know he’s in his thirties, an alcoholic, and writing a book. I got the feeling Wagamese knew where he wanted to go with the ending but didn’t know how to get there, so he just left the time in between off the page. I would have been happier with a book longer by fifty pages, better understanding Saul’s post-hockey existence. It might have brought his return to hockey at the end a little more gravitas. Still, I think this book will be a fierce competitor for the Canada Reads title! I certainly feel it should be a must-read for Canadians. If there are any educators out there reading this, get Indian Horse on your syllabi. It’s a beautiful, readable book students will adore and the history is so, so important. Don’t wait for it to win or not win Canada Reads. This book should be out there either way. I first met Sheryl Kirby in Parkdale as a wide-eyed, totally hysterical and completely raw 17-year-old in the late 90s. At that time I was so overwhelmed by Toronto and living alone for the first time that I gravitated towards Sheryl, who was, in my eyes, a stylish, savvy and competent urban citizen; the perfect role model and tour guide for someone in completely over her head. I don’t know that I was a very good student of this school of urban chic, but I certainly did learn a thing or two on the subject of Toronto and its food. It was with Sheryl that I had my first roti, my first pad thai, and my first Ethiopian meal. Reading Kitchen Party, Sheryl’s first collection of essays, I realized how deep and intrinsic to Toronto life those experiences Sheryl offered were. When talking about culture, food is a divisive subject. Culture is more than food, and the various attempts to celebrate “multiculturalism” through food pavilions are generally reviled. But at the same time, food rituals are deeply, deeply ingrained in all cultures, Toronto being no exception. Part of Toronto’s cultural identity can be best experienced through its culinary offerings in a way that is unique to our city. Kirby, who along with her husband wrote, edited and maintained the popular food and drink website TasteTO for 5 years, has been deeply involved in Toronto’s food culture for decades. She has arrived at a place where she can now describe Toronto to us through a variety of food-related experiences and anybody who has lived in this city will recognize its soul through her essays. The collection is divided into three sections: essays which bring us back to her childhood in Halifax, essays relating to her experiences in Toronto, and what she calls “food writing” which is supposed to transcend the Toronto-centric quality of the previous section, but which I found to be a more focused extension of the same. Kirby is at her best when she lets it all hang out, so to speak: her strong voice and opinions are what really makes a piece leap off the page, and when she doesn’t restrain herself the results are poignant insightful and hilarious. Sheryl is the best character in any of her essays, whether she is pushing fruitcake, deriding Alexander Keith’s, stealing quinces from Toronto parks or screaming in horror as a roommate deals with a cockroach infestation with a pair of chopsticks – on LSD. Kirby confides to us that she is not much of a world traveller, but in place of foreign adventures she seems to have experienced Toronto all the more intensely. Kirby as a savvy adult Torontonian visits those early essays about simple Nova Scotia childhood as well, with mixed results. The early essays have a more restrained tone than what comes later, and though this helps to show the differences between the 1970s and now, or between Halifax and Toronto, I found the work less engaging. Kirby has a chance to show us a softer side of her writing here. She offers some poetic gems and nostalgic insights, but the energy of the later essays is missing. My favourite essay of the first section is a history of the Alexander Keith’s brewery in Halifax and it is a bit of a polemic, but it is the unrestrained sharp tongue of modern-day Sheryl that gives the essay its kick, not the softer, more sentimental writing. The “food writing” of the third section will be irresistible to anyone with an interest in food justice issues. With a joint focus on food culture and Toronto-specific phenomena Kirby analyzes the political side of eating with a sharp and savvy pen. Her observation that the “local food” bandwagon might actually be what defines the Toronto culinary scene resonated with me and could be the basis of much more analysis and debate. So-called “foodies” (and Kirby hates this term – “who doesn’t like food? Who among us isn’t a “foodie”?”) will find a lot of think about here. As a simple eater and Toronto citizen I appreciated instead how Kirby contextualizes the Toronto food experience and helps us understand how the “scene” is more than a hobby for the rich and privileged Her history of Harlem soul food, personal experiences with an array of Haggis and discussion of Oaxacan mole all dissect how local food can be, even when it claims to offer “authentic” experiences of elsewhere. There are few essays where the word “privilege” doesn’t appear, but her writing brings out the element of the eating experience that is common to any reader. One final note in case you’re now considering Kitchen Party as a Christmas gift – the book is illustrated by Toronto artist Katherine Verhoeven to great effect. Verhoeven’s stark ink badges bring out the comic and the kitch in Kirby’s essays, but are also lovely little Toronto set pieces in and of themselves. The resultant book is lovely in a lot of ways – I can not speak to how the look translates to the ebook, but the physical copy is quite nice. Kitchen Party is available through the usual channels, but if you’re local I recommend sticking with the spirit of Toronto and grabbing it from The Cookbook Store! It’s where we live, doncha know. 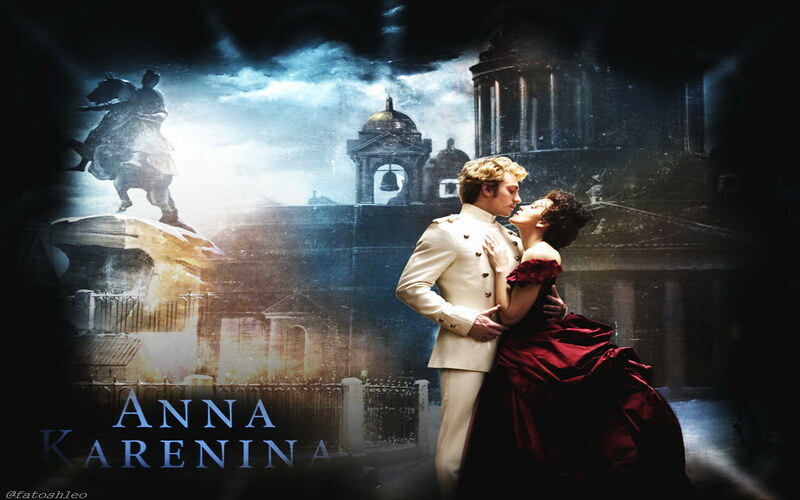 Director Joe Wright has just released his Anna Karenina, a film based on the opera based on Tolstoy’s book. Wait – there wasn’t an opera? Well, there is now. And it’s bloody fantastic. This is big, overwrought Romance done up exactly right for the stage, and does its source material justice. I do love Tolstoy to a more-than-usual degree but it wasn’t that hero-worship that made this movie for me: for once, it was the film interpretation’s departure from the source material. Tolstoy is, generally speaking, Jane Austen filled with disagreeable men arguing about philosophy. It’s a formula aimed at my heart. I love Jane Austen, I love disagreeable men, and I love arguing about philosophy. Tolstoy’s best heroes are his grumpy little outsiders, more concerned with their moral development than the high drama going on around them: War and Peace‘s Pierre and Anna‘s Levin. The high drama seems to be there as a feint. One might think War and Peace is about Prince Andrei and Natasha Rostov or that Anna Karenina is about Anna Karenina & Alexei Vronsky – but they aren’t, not really. By the end of the books the romantic leads are long dead and there sit Pierre and Levin contemplating peasants and making babies. Which is wonderful, but opera is about melodrama and so Wright’s Anna Karenina has sided with the Jane Austen and dispensed with the disagreeable philosophers. Levin still makes an appearance, but his story seems to be a cute side-plot to soften, a little, the doomed tragedy that Anna & Vronsky endure. An opera about hiding away on your country retreat writing a treatise on farming, while agonizing over your inability to properly tend to your cows because of your new baby would be very dull indeed. The film chooses instead to cut right to the hair-tearing and the horse racing. The drug addiction and the suicide. The film is not all scandals, though. Wright does an excellent job of making Anna out to be, not likable, exactly, but right. All through the book women are made to endure hardships and are made to feel that they, despite being the victims, are responsible still for the continued happiness and stability of the men to whom they are attached. They must forgive philandering, tolerate loveless marriages, wait on moody philosophers and accept public humiliation for the sake of their husbands and children. It’s grossly sexist and unfair from our modern standpoint. Without hugely altering the source material, Wright shifts our sympathies. Oblonsky’s philandering is portrayed more foolishly and his wife Dolly is more aware of the wrong done to herself. In a scene not to be found in the book, Dolly confides to Anna that she wishes she’d been brave enough to do what Anna did. Anna herself is put into a tighter cage and even her rages and jealousies become understandable. Her suicide is an inevitable tragedy rather than an act of cruel vengeance. The film’s Karenin seems the most cognisant of the entire tragedy and paints for Anna explicitly what must be done to avoid a horrible outcome, and we understand through it how bad things are for the lovers due to the entirely unavoidable points of gender inequality. The book’s Karenin succumbs instead to some strange spiritualism that operates as a plot device and a reminder that Anna has sinned against a God or a fate. Personally, I like and sympathize better with a woman trapped by unfair social conventions than one doomed by her unwillingness to conform to her proper place. This is a departure from the philosophical Tolstoy, but a welcome one. Add to this refocused social commentary a brilliant script by Tom Stoppard and a beautifully choreographed staging with an operatic conceit and you have what I consider to be a fabulous film. The best news of all is, the book is also amazing and is still available. Those who want the disagreeable, philosophical parts as well have the supplementary material. The new movie lets readers like me have it both ways: a deep, philosophical book with the Romantic, tragic parts pulled out, set to music and painted on the screen. Is there anything else to ask? I suffer from a lot of reader’s guilt. I want to buy all the books, read them all, write about them all, and single-handedly support the writing and publishing careers of every scribbler and bibliophile out there. I can’t, of course, but it is this feeling of needing to do something to support the culture I love that leads me to write and to blog. I’m trying to do my bit. I am not alone, thank goodness. The bloggosphere is a big wide place filled with readers and writers of every stripe, but we do all seem to share this sense of responsibility: we need to prop up the under-sold and the under-read. One of the major symptoms of reader’s guilt is, I have discovered, the Themed Reading Project. A reader or blogger resolves to limit their reading to works that fall within certain parameters, presumably to avoid wasting time on works which will sell very well, thank you very much, without one little blogger’s help. Like a $50 Christmas donation to the charity of our choice, this helps the reader feel like they have contributed in some small way to the continued viability of their favourite corner of the publishing industry. It is also nice that in staking out an unsung corner of literature, you become a semi-legitimized voice of that corner, with all the support and publicity professionals who have been labouring away in that corner can throw you. Don’t get me wrong, I love Themed Reading Projects. I stare daily at heaps of books that I mean to get to but never seem to. By setting a challenge for myself, these poor little neglected books no longer have to compete with the majority of what distracts me. David Annandale’s Gethsemane Hall may not be at the top of my reading list, but it is much nearer to the top of my list of Canadian Horror Titles TBR. Or Canadian Small Press Titles. Or Books I Didn’t Pay Money For and Therefore Should Offer Words For. Some of my favourite bloggers are doing Themed Reading Projects right now. Buried in Print is reading 45 House of Anansi titles in 45 days (which includes a draw for $45 worth of books!). A Young Voice is reading all 40 books from the Canada Reads 10th anniversary longlist. The whole premise of the 49th Shelf is to offer themed lists of Canadian literature for prospective readers. Every time a good blogger picks up a project, all of Canadian publishing breathes a sigh of relief. This brings me to publicity, because that is ultimately what these projects boil down to. Yes, perhaps you are trying to better yourself and the best possible way to do that is to read a list of severely curated books on a theme, but no, not really. We live in a world of efficiencies and reduced expectations. Certain skills – the ability to write, speak or shake hands and smile, for example – are no longer considered speciality skills best left to writers, orators and publicists. Specialists are eliminated, and the expectation is folded in to the job description of everyone else. It is assumed that everyone can write and make an introduction. If you are a writer, you must now do your own speaking and glad-handing. Book-stumping has become a ful-time job that every writer is expected to engage in. I admit I used to find the continual bombardment of self-publicizing authors irritating. I get a dozen solicitations from self-published and small-press-published authors per day. I can only imagine the deluge bigger blogger get. This doesn’t take into account the mess that is my Twitter feed, which is a near-constant stream of retweeted reviews, press releases, pleads for clicks and enthusiastically expressed intentions to read things. But now that I have a couple of manuscripts I’m stumping myself in a desperate search for willing beta-readers, I am ready to debase myself in apology. It is so hard to get people to look at your work, even amongst supporters and friends. Hitting on a blogger willing to read, talk about and review your books, even as part of a bigger project, is like striking gold. So what are we, as bloggers? Part of a publicity machine? Readers for Social Change? Self-interested proto-journalists looking for a corner to stake out and build a career in? Philanthropists? Is our duty (if we can be said to have a duty) to the blog’s readers, to writers, or to ourselves? Just as I want to donate blood, money and canned goods to the most needy in our society, sometimes I feel I’d like to read and push some of the most unnoticed readers in the literary ecosystem, but then I pause. Let’s say I take six months and review a dozen or so self-published ebook authors. These are certainly the writers with the least attention, but I wonder if giving them the webspace would serve anyone else. I do believe that there are some good self-published offerings out there, possibly in need on an editor or mentor, but good nonetheless. But are they better, more unique, or more satisfying than traditionally published or mainstream works? The hypothetical reader at the end of the day may not be interested in Reading for Social Change, and may just want a good book to hunker down with on a rainy day. Am I going to recommend they read Anna Karenina, The Blondes or Terror Before Dawn: A Child At War? What serves the reader, one of the greatest novels ever written, a good novel in need of attention, or a completely unknown novel which might yield unexpected delights? I have no Themed Writing Projects planned right now. Perhaps I am avoiding the issue. Perhaps it isn’t my job to be all things to all people. I am about to dive into my first-ever ebook read, so perhaps my opinion will be won based on the quality of this one venture. I’m told that publishing and reading are changing and I hope to keep up, which means keeping an open mind. Joseph Anton, 419 and Telegraph Avenue will wait for me, right? You can follow the #FridayReads hashtag on Twitter and get a snapshot of what the Twitterati (Litertwatti?) are reading, if you choose. If you do follow, you might have noticed that I have been reading (see right) Kristin Lavransdatter by Sigrid Undset for the last month or so. A week ago I added Tolstoy’s Anna Karenina to the mix because I’m hoping to see the new movie next week and wanted this one last chance to read the book without Kiera Knightly’s jawline dominating my imagination. In conclusion, I have 1,700 pages of book to bull through this weekend. Luckily Etsy has the accessory for everyone, even masochists like me. A clump of clumsy monkeys lumbered through the dump. then slunk away until it slumped into the muck, and sunk. I was pleased when I mastered the performative aspect of Lawson’s poems, and surprised to discover that he himself doesn’t enjoy doing readings. It’s a question of temperament rather than a philosophical aversion, but nevertheless unexpected given Lawson’s emphasis on sound. Down in the Bottom of the Bottom of the Box is a collection of nonsense poems for the young (and young at heart) in the tradition of Dennis Lee and Dr. Seuss. Lawson starts his poems from sounds and builds with orality in mind. The results are clever and fun to read, and so it’s no wonder that he has found success as a children’s poet. He has won the Lion and the Unicorn Award for Excellence in North American Poetry twice (in 2007 and 2009), and has been short-listed for the Ruth and Sylvia Schwartz Children’s Book Award. He estimates he has published ten books so far, though his first two collections of adult poetry have recently been pulped by their publisher, Exile. It has been as a children’s poet that Lawson has found success, though there is nothing about his work which is facile or simple. Down in the Bottom of the Bottom of the Box is unquestionably a book with adult appeal. It is beautifully produced by Porcupine’s Quill on their distinctive Zephyr Antique paper and features 32 full-page paper-cut prints by Mexican-Canadian artist Alec Dempster. It was this pairing with Dempster that Lawson says sold the book to Porcupine’s Quill. Though Lawson had published A Voweller’s Bestiary with Porcupine’s Quill in 2008, they weren’t sure what to do with the poems that would become Down in the Bottom of the Bottom of the Box. These poems were originally part of the manuscript that would become Kids Can Press‘s Think Again, but they were culled to give Think Again the narrative structure it has in its finished form. 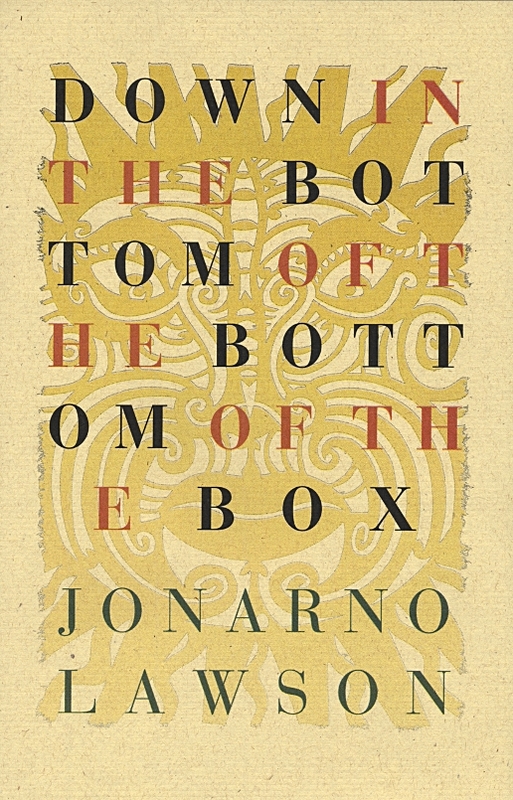 Alone the poems of Down in the Bottom of the Bottom of the Box are cute, but alongside Dempster’s stark, surreal relief-cuts the book takes on a stranger, more macabre quality. “The Inksters like a challenge,” Lawson says of his publisher, and the Lawson-Dempster combo gave them an off-the-beaten-path project. Indeed, life as a children’s poet seems to mean a lot of collaboration. Lawson’s children’s books have been illustrated by a variety of artists, including Voweller’s Bestiary, which he illustrated himself. Speaking of Dennis Lee & Frank Newfeld’s contentious collaborating relationship, Lawson concedes the classic illustrations for Alligator Pie were “Ugly, but unique,” but that it’s good for a poet to be pushed “outside his comfort zone.” He has generally had only a small amount of control over who illustrated his work and how. Dempster certainly seems to have had free reign with Down in the Bottom of the Bottom of the Box, producing more work for the book than anyone thought he would. Lawson only met him a couple of times, including at the book’s launch. The artist and poet produced their contributions independently – but Lawson had faith in Porcupine’s direction, and seems pleased with the results. As for the kids, I think they’d be pleased too. Lawson’s three children – aged 11, 8 & 4 as of this writing – provided input and inspiration for the work, and Lawson tells me they still read poetry willingly. My 4-year-old found the poems challenging initially, but after some practice on my part she warmed to them. The intended audience is likely the older child, but adults should pay attention too. The language is smart and flows beautifully. An emphasis on sound and rhyme ought to recommend it as much to the adult reader as to the younger. If you need a final selling point, just have a look at a physical copy. You’ll be loathe to relinquish it to the sticky and inexact care of your children! It’s a beautiful work in every sense, and highly recommended. This review and interview based on a review copy courtesy of Porcupine’s Quill, and an enjoyable in-person chat with JonArno Lawson. In case you weren’t feeling glum enough about the imminent closure of the Toronto Women’s Bookstore, last night we got the news that Canada’s largest independent publisher, Douglas & McIntyre, has filed for bankruptcy. The news brought a chorus of astonished gasps and moans from Twitter. Nobody likes to see things like this. Good, experienced publishing people could lose their jobs. Writers could lose their publishers. Their books could go out of print. Oh, and something about the cultural contribution too. Canadian culture, supporting our own, something something. Of course, if everyone who was so sad to see them in straits actually spent money on their books, they might not be so bad off. That was the first thing I thought, in any case. Oh man, when was the last time I bought a Douglas & McIntyre book, anyway? The summer of 2010, Darwin’s Bastards, Zsuzsi Gardner? July 2010. Cigar Box Banjo, Paul Quarrington, for my husband’s birthday. November 2011, Something Fierce, Carmen Aguirre, for Canada Reads. That’s $80 in two years. No wonder they’re going out of business! Why didn’t I pick up Daniel O’Thunder, Lightning, The Book of Marvels when I saw them? And why didn’t I buy them all at the Toronto Women’s Bookstore?! The fact is I can barely feed myself and my children, let alone every writer, publisher and bookseller in Canada. But that doesn’t prevent the lingering guilty feeling that I somehow should have tried. My coworkers and I sit here scratching our heads this morning, wondering how this could have happened to D&M. They have a phenomenal list. We bring in – and sell – almost every single book they publish. What more must a publisher provide? Great, well made books that people want to buy. Isn’t that the formula? How can that fail to pay the bills? Admittedly, I live in a bubble. Our bookstore sells books nobody else can manage to move. My customers are heavy readers who – bless them – never ask about the prices, just pay them. My friends are heavily educated and literate, with a strong sense of social responsibility when it comes to supporting the local. My 276 Twitter followers seem to be 200 authors, 75 publicists and my mom. The millions of people who buy and read 50 Shades of Grey? I don’t know who they are. So maybe out there in the real world, D&M’s excellent books are going unnoticed. Maybe all the “buzz” the journalists, bloggers, reviewers and publicists claim to be out there is being generated by review copies and good intentions. 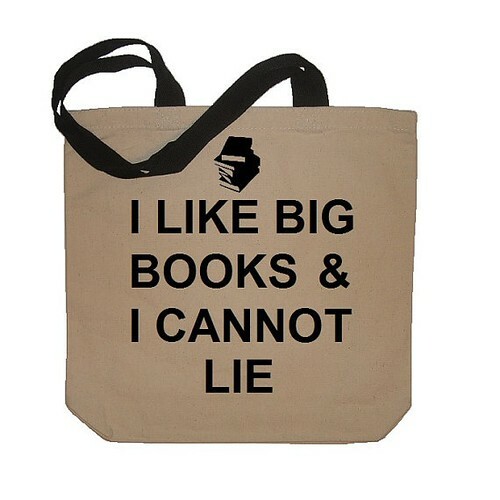 I’m a bookseller and a blogger, after all. I have my share of books given to me, and what I buy I often buy at cost. Maybe I am to blame after all. Do we excuse ourselves from buying books because we feel our endorsement, our “word of mouth” is worth more than the $19.95 we’d spend on the book? I wonder sometimes. I don’t know how else to reconcile the contradiction I’m seeing. We all love and “support” these books, and yet the money isn’t there. Are the readers – the ones who don’t work for the publishing houses, who don’t get their copies for free – there? Are they reading our reviews and buying the books? Does buzz equal sales? We’re troubled, this morning, about what this could all mean. If a Douglas & McIntyre can’t make it, I wonder if anyone can. Does a publisher need to be propped up by a mega-bestseller (and does a Canada Reads winner not suffice)?